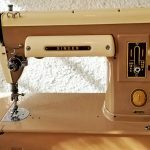 Part of the thrill of the hunt when shopping estate sales is finding the best estate sale flips – items you can buy, and then turn around and sell for a quick profit. 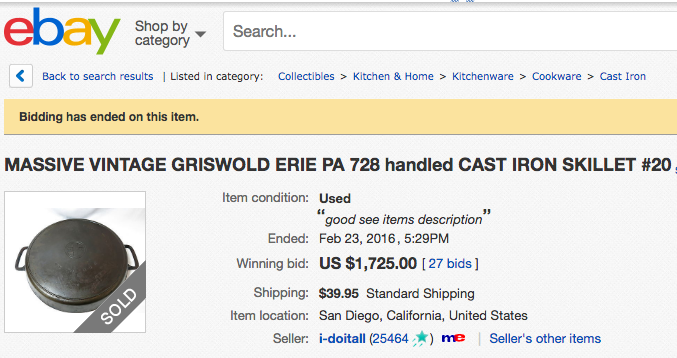 Fact: this is why many people shop estate sales in the first place. 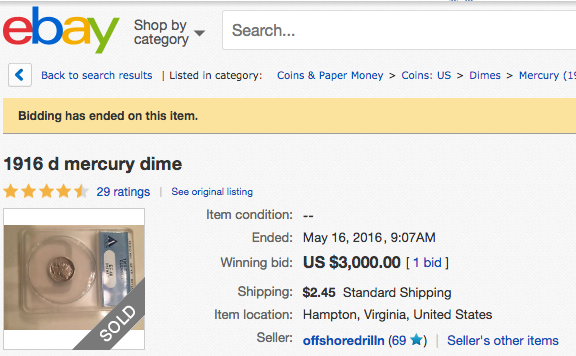 You don’t have to be a big-time dealer to spot valuable items either. Sometimes it’s as easy as knowing what to look for – and being in the right place at the right time. 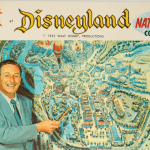 We were curious which common estate sale finds were worth the most money, so we consulted ebay’s “sold” records to compile this list of estate sale flips you won’t want to overlook. Have something else to add to the list? Tell us in the comments! While lots of coins are a dime a dozen, some can be worth quite a bit if you you stumble across the right ones. Be on the lookout for mercury dimes, the 10 cent pieces made in the US between 1917 and 1945 which can fetch a pretty penny. Score big with some sports memorabilia. You’ll find it benched in the corners of your favorite estate sale. Baseball cards, autographed uniforms, vintage programs, and signed balls are just some of the things to consider if you’re up on your sports stats. 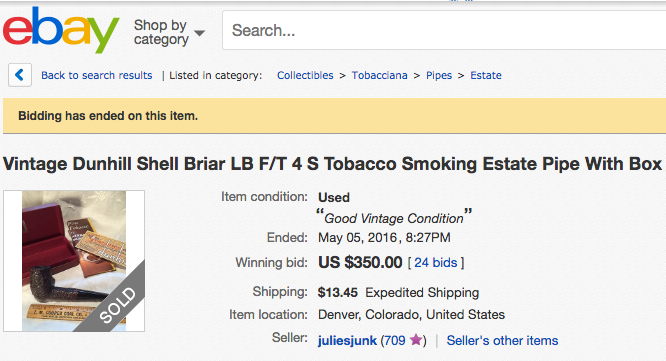 While pipes may be not seem very hot compared to other estate sale finds, you can find some smoking deals on certain high-end pipes, especially brand names like Dunhill. 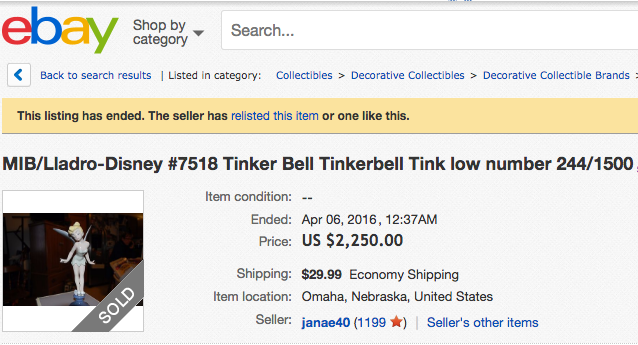 While Lladros have a reputation for being hard to sell, there are still a few pieces that can be sold for a hefty sum, especially if that model has been retired or is from Disney, like Tinker Bell below. Other Lladros to watch out for: Any with Don Quixote, the Dancing Ganesha, and Swing into Spring. Another collectible that’s hard to get rid of is the German-made Hummel. However, there are some that are rare or hard-to-find that still retain most of their original value, like the Ring Around the Rosie. Others worth buying are the Little Old Man Reading a Newspaper, Chick Girl, and Apple Tree Boy. 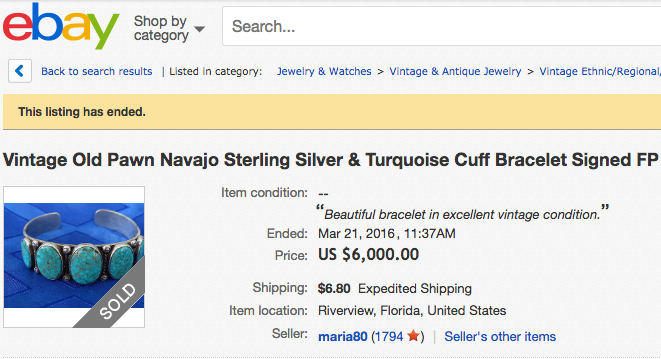 Estate sales are teeming with costume jewelry, which is often sold in lots. Turquoise is fairly easy to find and some pieces can be resold for a ton of money, so be sure to examine it carefully, especially vintage turquoise and vintage coral. Vintage Bakelite is all the rage these days and can be found in everything, from vintage radios to fashion jewelry. 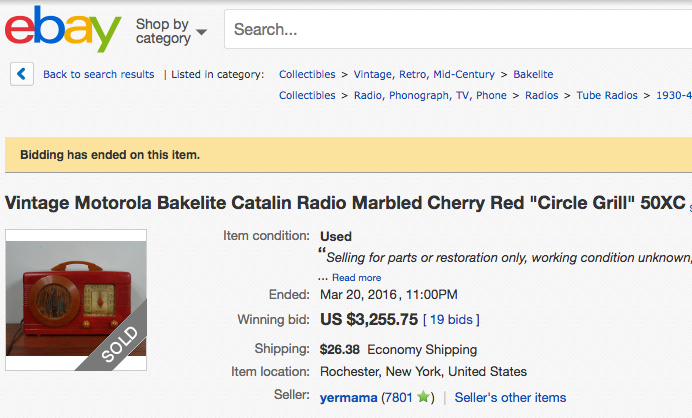 Bakelite has a good resale price, too, as seen with this little vintage radio below. See more Bakelite. How many times have you rummaged through a box of belts at an estate sale, most of which were sold for a couple dollars or less? But some belts are worth more than that — a lot more. 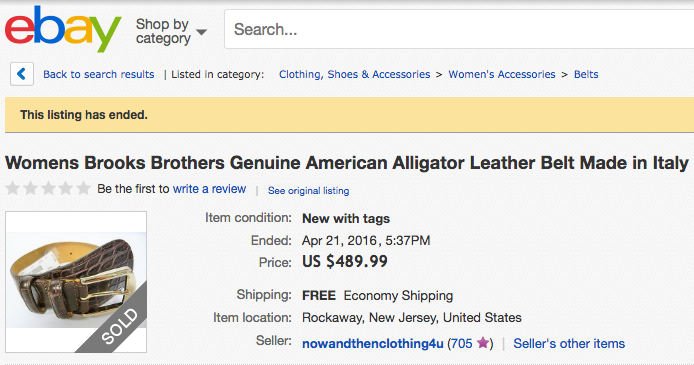 Look for belts from high-end designers or ones made from animal skin, like lizard, crocodile or ostrich. Don’t judge a book by its cover. Old books can be worth lots of money, especially first editions, so take the time to browse the bookshelves. While they may seem useless now, you can still get money for an old iPod because of the vintage factor, and that they hold a lot of storage space. If you visit an estate sale selling lots of old electronics, keep your eyes peeled for Apple products. 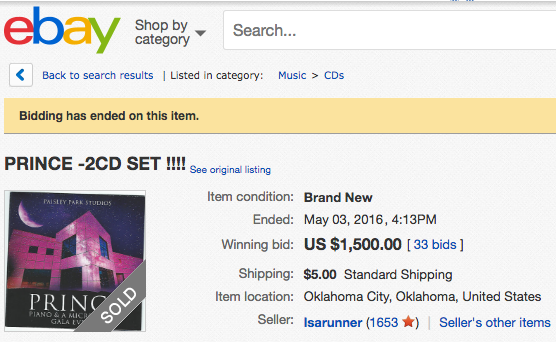 While digital downloads are how most people listen to music today, don’t discount the value of vintage records. 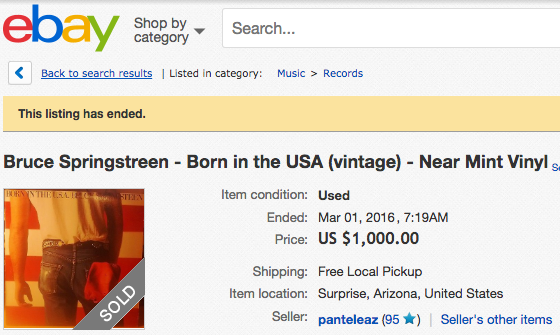 Some records are still worth quite a bit of cash, especially those in mint condition. Sure, VCRs may seem as outdated as its predecessor, the Beta (anyone remember those? 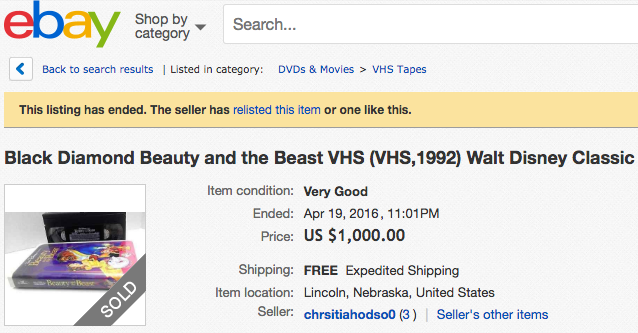 ), but there are still some VHS tapes around that have value, especially old Disney classics. Thank goodness we don’t have to deal with CDs skipping anymore – but if you see a CD, don’t skip it right away. Some CDs, especially those still brand new by dead artists (or artists formerly known as artists) can sell for off-the-charts cash. CDs not to pass up: Elvis, The Beatles, Grateful Dead. Like it’s musical cousin the CD, DVDs have also been largely replaced by streaming videos. That doesn’t mean all of them are worthless — you just have to know which ones are worth watching for. Board games don’t have to be boring, and they can also rake in some fun money. 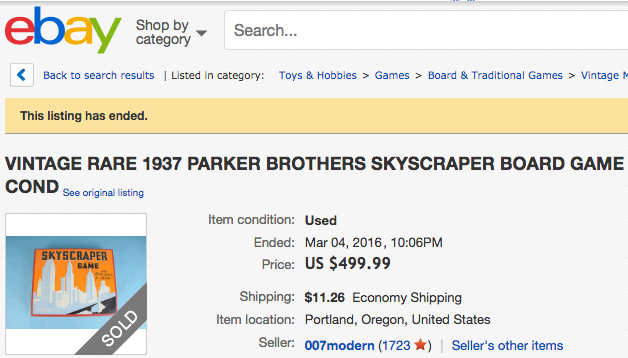 Look for rare, vintage games in mint condition for the most lucrative results, like Skyscraper listed below. Others to watch out for: Dark Tower, Fireball Island, and Wonder Woman. This ancient Chinese game contains 144 tiles, often made from Bakelite or Lucite. 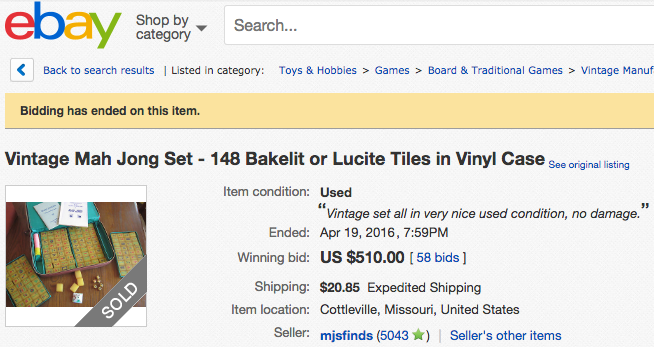 If you run across a vintage Mah Jong set, consider flipping it. Nintendo used to rule video games, but it’s since been replaced by the Playstation, XBox and Candy Crush. 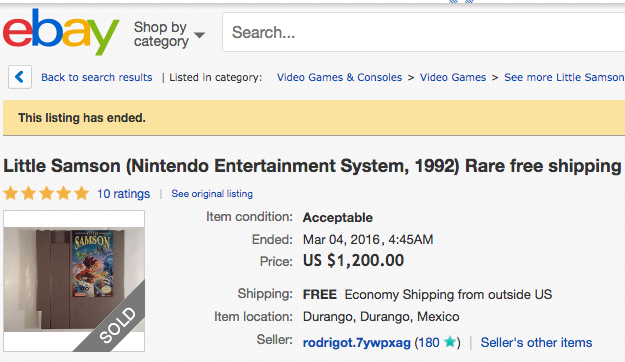 Still, some of the vintage Nintendo games can still make cash, like Samson, Bucky O’Hare, and Power Blade 2. In case you hadn’t heard, Star Wars is a pretty big deal and with more films slated for production, it doesn’t look like the fad will fade out any time soon. 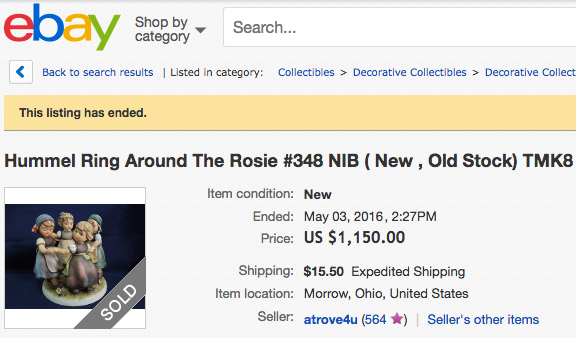 Use the force to find Star Wars collectibles at estate sales – some are worth a fortune! Always look out for LEGOS, whether you’re dodging them on your living room floor or rummaging through them at an estate sale. 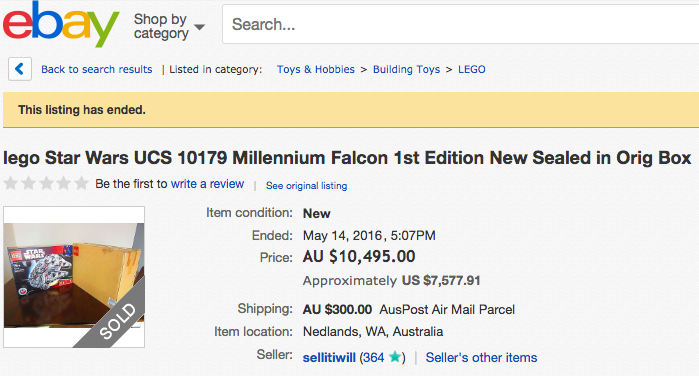 Keep an eye out especially for toys from the LEGO Star Wars line, like this Millennium Falcon that sold for over 10,000 dollars! Since 1980s nostalgia is at an all-time high, the toys from this decade are also in high demand. 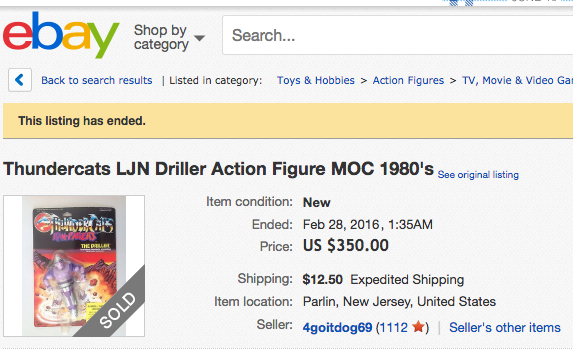 Stay alert for 1980s toys that had their own TV cartoon shows, like Thundercats. Also popular: original Gem, certain Barbies, and My Little Ponies. To make 300 bucks, just add water. Who can forget these souped up water guns? And who would have thought they’d be worth so much now? Halloween costumes can be scary expensive, especially the closer you get to October 31. 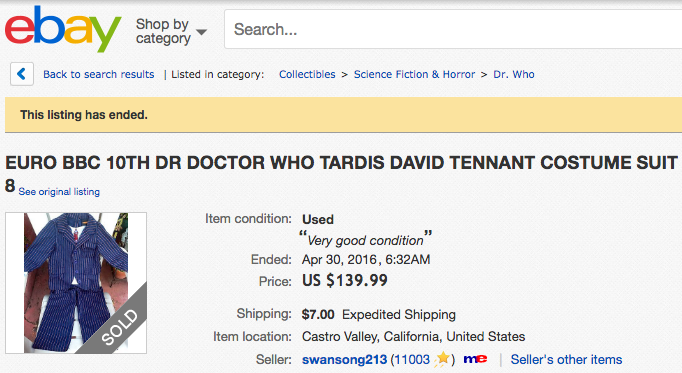 Luckily, many have decent resale value. Estate sales are great places to find old costumes, and since most of the time they’re only worn once, they’re usually in pretty good condition. 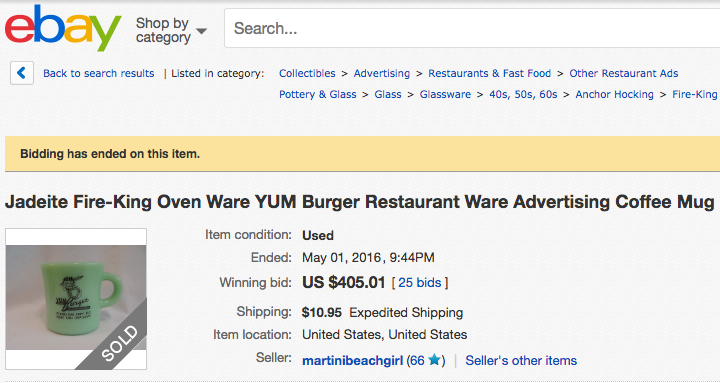 Vintage Pyrex has a huge fan following, and this has driven prices of some Pyrex dishes way up. 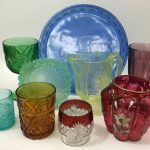 Estate sales are treasure troves of midcentury Pyrex, and some patterns can fetch thousands of dollars! Check out these Pyrex patterns to learn which ones to buy. Fire King, Pyrex’s close cousin, can also resell for a lot, and Jadeite is easily spotted by its signature green. Be on the hunt for vintage Jadeite everything, like this branded restaurant mug. 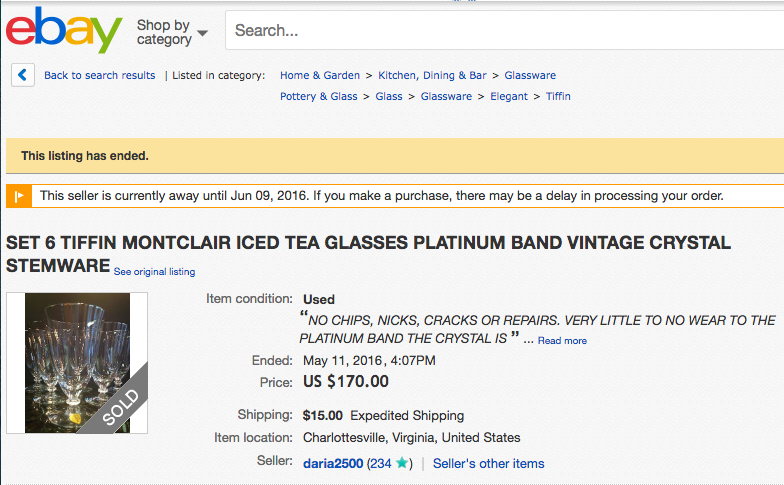 It’s true, there’s a glut of glass, and estate sales across America are trying to get rid of it. Not all of it is worthless, though. Brand names can still fetch original value if you can find high-end pieces from trusted names like Culver and Waterford. Also, learn to trust your gut – if it looks really nice, it probably is. Not only do they epitomize midcentury kitsch, vintage Sunbeam mixers often are still functional and highly collectible, especially in the classic pink or turquoise with the original Pyrex or Glasbake mixing bowls. Cooks aren’t the only ones who go crazy over cast iron. Collectors also have a thing for this kind of cookware, and some vintage cast iron like Griswold or Wagner can go for thousands. Definitely something to sniff out when you’re estate-saling. 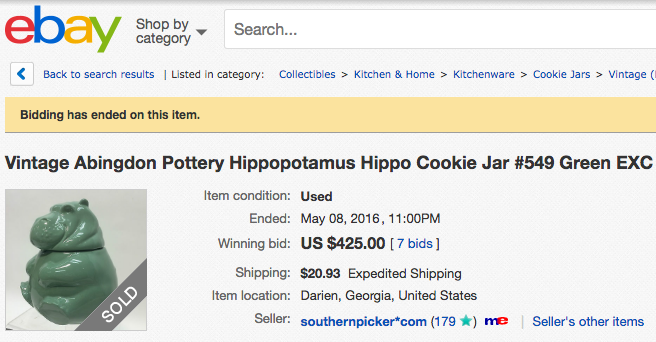 Did you know vintage cookie jars can be sold for hundreds of dollars? Seem too sweet to believe? Look for vintage cookie jars from McCoy, Metlox or Lefton. Now it’s your turn to share! 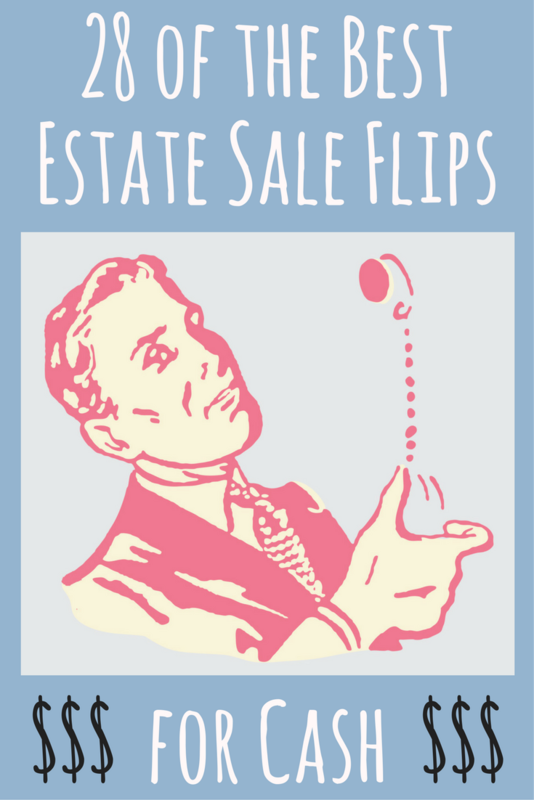 What are your favorite estate sale flips that you’re always on the look-out for?